An Opinion On Sports: Michael Irvin: A New Twist On Reality T.V. 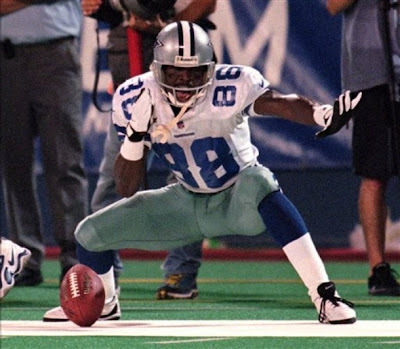 This spring Michael Irvin will host a new realty show on Spike TV. The show, which has yet to be given a name, will feature twelve NFL "Wannabees" competing for a single roster spot on the Dallas Cowboys 80 man training camp roster. The twelve aspirants will consist of six receivers and six defensive backs. The concept for the show is all Irvin's, and he says all he's trying to do is help someone fulfill a dream and find the Cowboys another football player. If he finds them one who turns out to be as good as he was, he will have done a heck of a job.